Founded in 1999 and based in Lowell, Massachusetts, UTEC was the result of an organizing movement driven by young people to develop their own teen center in response to gang violence. 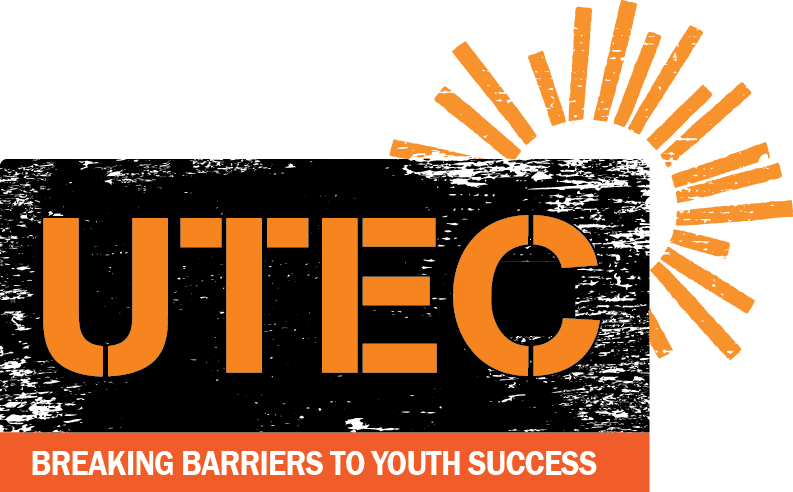 UTEC's nationally recognized model has been carefully designed to achieve our mission to ignite and nurture the ambition of proven-risk young adults to trade violence and poverty for social and economic success. We serve seriously gang involved and seriously criminal involved young people, ages 17-25, from Lowell, Lawrence and Haverhill, MA. Learn more about our programs. After 10 years of accomplishments, in early 2010, our agency embarked on a process to develop a theory of change that would guide our work and focus on data-driven outcomes. UTEC’s model begins with intensive street outreach and gang peacemaking and then pairs young adults with a transitional coach to work on their individual goals. Young people develop skills through paid work experience in our social enterprises and resume their education through onsite classes and tutoring. Data collection and a culture of continuous learning are embedded in each stage of our work. We recently opened our 2Gen Center to provide early education for our participants’ children, ages 0-5. UTEC practices the values of social justice and civic engagement every day, with special emphasis on local and statewide organizing and policy making work. Ultimately, UTEC’s unique model can provide a pathway from the street to the state house for young people often considered to be the most disengaged from civic engagement. UTEC is proud to support the Superstar Foundation by sponsoring Superstar Awards for three of our most dedicated staff. This award recognizes direct service staff who go above and beyond their daily work to utilize data to improve their outreach and build transformational relationships with our young people. Direct-service UTEC staff may be nominated for one of our three Superstar Awards. For 2018, first place will earn $850 and be automatically considered for a national Veronica Award. Two runners up will earn $250 each!